President-elect Donald Trump and key advisers in recent days have backed away from some of the most sweeping pledges that the Republican candidate made on the campaign trail, suggesting that his administration may not deliver on promises that were important to his most fervent supporters. Trump built his campaign message around bold vows to, among other things, force Mexico to pay for a massive border wall, fully repeal the Affordable Care Act and ban Muslims from entering the United States. But in the days since his upset election victory, he or his advisers have suggested that those proposals and others may be subject to revision. On President Barack Obama’s health-care law, for example, Trump said in an interview with the Wall Street Journal Friday that he would like to keep some parts of the law intact and may seek to amend the statute rather than repeal it. Trump said he came to the conclusion after Obama, during Trump’s Oval Office meeting Thursday, suggested areas of the law that should be preserved. Trump suggested provisions that prevent insurers from refusing coverage for preexisting conditions and which allow children to stay on their parents’ health plans until age 26 should stay. ‘‘I like those very much,’’ he said. In the same interview, Trump also avoided answering whether he would follow through on a campaign vow to appoint a special prosecutor to investigate Democratic nominee Hillary Clinton’s use of a private email server while secretary of state. ‘‘It’s not something I’ve given a lot of thought, because I want to solve health care, jobs, border control, tax reform,’’ he said. 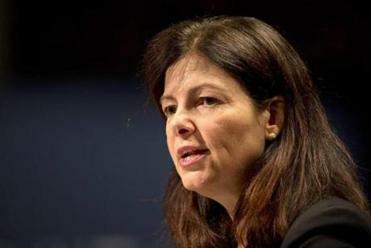 If chosen, Ayotte would stand out in a Trump administration as a neoconservative defense hawk and one of the few women in the incoming Trump cabinet. That ambivalent tone is a far cry from Trump’s sweeping rhetoric on the campaign trail, where he repeatedly vowed to repeal and replace the ACA and led crowds in chants of ‘‘Lock her up!’’ in reference to Clinton. His lack of clarity on these and other issues has added more uncertainty to an already chaotic presidential transition, as he scrambles to build a team. There is also no guarantee that Trump will not return to his previous positions. In August, he appeared to consider softening his proposal to deport millions of illegal immigrants en masse, only to give a rousing speech retaining his hard-line stance. With little clarity from Trump himself, some of his surrogates and advisers have given a mixed view of what Trump will hope to accomplish in his first 100 days in office, discounting some of his most well-known proposals. Former House speaker Newt Gingrich, a Trump adviser, cast doubt this week on whether the new president would seek to have Mexico fund Trump’s proposed border wall - a pledge that inspired regular chants of ‘‘Build that wall!’’ during campaign rallies. ‘‘He’ll spend a lot of time controlling the border. He may not spend very much time trying to get Mexico to pay for it, but it was a great campaign device,’’ Gingrich said Thursday during a conference call sponsored by Dentons, a global law firm. Former New York City mayor Rudolph Giuliani, a close adviser to Trump, sounded certain that the wall would be built - but was far from clear about the timeline. He said during an interview on CNN Thursday that he believes Trump should prioritize tax reform in his first 100 days rather than issues like building the border wall. On deportations, the campaign has yet to detail how many undocumented immigrants might be targeted for immediate removal by the Trump administration. The number could range anywhere from 1 million to 6 million, according to various priorities Trump outlined over time throughout the campaign. During the GOP primaries, he repeatedly said that all of the estimated 11 million illegal immigrants would have to leave. He has not been clear about what is on the table now that he will be the president. After exiting a meeting with Republican leaders Thursday on Capitol Hill, Trump was asked by reporters to list his top three priorities after taking office. He mentioned securing the border, health-care reform and job creation. ‘‘Will you ask Congress to ban all Muslims from entering the country?’’ a reporter asked. Trump appeared to hear the question before thanking everybody and walking away. Trump said during the campaign that he would reinstate the use of waterboarding against terrorism suspects - a practice that Congress made illegal after its use during the George W. Bush administration. But former House Intelligence Committee chairman Mike Rogers, R-Michigan, said this week that Trump’s waterboarding remarks were just ‘‘campaign talk,’’ according to CNN. The future president, who ran on an anti-establishment message, also faces pressure to accede to conservative orthodoxies that run counter to promises he made on the campaign trail. Speaking about the months ahead, House Speaker Paul Ryan, R-Wisconsin, signaled this week that he would consider cutting Medicare, arguing that the program ‘‘is going broke’’ and would need to be reformed at the same time Republicans repeal Obamacare. That, however, would contradict Trump’s vows not to touch entitlement programs. Ryan has proposed turning Medicare into a ‘‘premium support’’ model, which would involve doling out federal subsidies for private insurance rather than the current single-payer model. On international trade, it remains unclear whether Trump will follow through on his recommendations for punitive tariffs against China. Trump made a point throughout his campaign of trashing the Chinese for devaluing their currency, and said on occasion that he would put a tax on goods from China as a retaliation. ‘‘The tax should be 45 percent,’’ he told the New York Times in January, a figure he used on several occasions. But senior policy adviser Wilbur Ross, who has consulted with Trump on his first 100 days, sought to walk back those campaign claims during an interview this week with Yahoo Finance, denying that Trump had made the suggestion. But Trump’s advisers have been vaguer on the topic this week. ‘‘But the agreement as is right now . . . is not going to be accepted by a Trump administration,’’ Phares said. 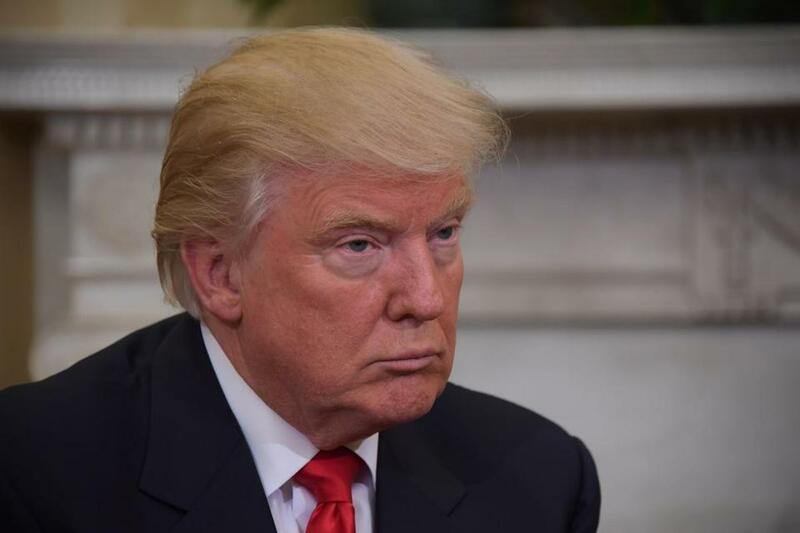 Phares hedged during the BBC interview and said that Trump had committed to doing it only ‘‘through consensus.’’ Palestinian leaders would not support such a plan.